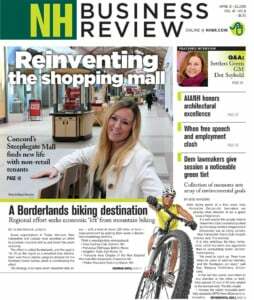 ‘The New Hampshire North Country is part of a broader four-state region that is complicated and dynamic|! !|’ says Rob Riley|! !| president of the Concord-based Northern Forest Center|! !| which focuses on economic development in the northern forest areas of New York|! !| Vermont|! !| Maine and New Hampshire. Rob Riley, the president of the Concord-based Northern Forest Center, recently attended the Aspen Ideas Festival in Colorado, where he was part of a panel that talked about the misunderstood and untapped potential of rural communities. 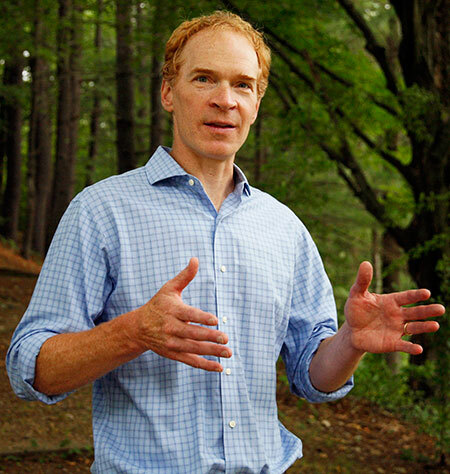 Founded in 1997, the nonprofit center is focused on economic development in the 30 million-acre, northern forest areas of New York, Vermont, Maine and New Hampshire. Riley, a Canterbury resident who has worked as a logger and farmer, said the center’s mission is to rally people around the vision of a sustainable future. The goals are to merge thriving communities, healthy forests and innovative and resilient local economies which all too often are semi-neglected by federal and state lawmakers and policy makers. Before joining the NFC in 2007, Riley served as director of MicroCredit-NH, the statewide community economic development program. Q. What did you talk about at Aspen? A. I was there on a panel to talk rural opportunity, which wasn’t a major focus. Aspen addressed these heady global ideas about major political, ecological, economic and socio-demographic trends but no one was talking rural. These trends are impacting rural areas, but what we often see are the media headlines about struggling economic situations, the loss of jobs and young people. These aren’t a true reflection about the opportunities in these rural regions and communities. I could provide some linkage, and along with panel members from Wisconsin and North Carolina, share them with some significant thought leaders. Q. How was the reception? A. I think many had enthusiasm for the provocative ideas that these regions have a powerful, even insurmountable natural resource base from which to build thriving communities and economies. We have proven that if you have sound public policy, targeted investments and philanthropic focus, these regions can and will thrive. These areas were once creators of great prosperity but the issue now is how we help accelerate that next era of sustainable prosperity. Q. What are the strong fundamentals? A. We still see an abundance of forest value in wood heating, flooring, furniture, or any of the many uses of wood. Beyond the forest economy and the tourist industry, we advocate for an infrastructure buildup – for broadband, strong health care and education system support – to create more opportunities that will encourage younger people to stay and encourage more entrepreneurial development in the communities. The other panelists from Wisconsin and North Carolina had common themes as well about how these rural assets are readily misunderstood by those in urban areas. The rural areas have reservoirs of food, energy and recreation for the benefit of the rest of the country, and there’s a lot more ingenuity and innovation taking place. We need to put that more in the spotlight, like the unique redevelopment of an old newspaper building in Wisconsin that brought a community together, or in Vermont, a wood pellet mill project will open at the site of a former paper mill in Gilman. Q. What might people be surprised about Northern Forest Center? A. It’s easy to oversimplify, but the New Hampshire North Country is part of a broader four-state region that is complicated and dynamic. We are focused on the people, communities and sustainable economies of northern forests. When you stop thinking of these as “other places,” but connected in value and innovation to examples like the Manchester Millyard, you think differently about what is possible and how important these regions are. We emphasize a diversified economy and not one reliant on tourism or any one commodity. A. The stratification between urban and rural is real. There is all too often a piecemeal approach to public policy when it comes to rural areas. We need to highlight rural innovation that is happening and make our voices and ideas heard when major legislation like the Farm Bill is up for renewal. We continue to look at foundation resources and nonprofit partners and ask them to be more agile and adaptable to economically fluid economic situations. The goal is help set the table in these communities, be more responsive to their needs, as opposed to being too constrained. We need more younger families who are looking for entrepreneurial opportunities and to live in a small town. We must utilize more digital platforms to be a magnet for people who want to participate in a dynamic community, but we’ve been promised broadband infrastructure that hasn’t been built yet. We need strong, consistent cellular coverage. Instead of managing decline, we want to be in the position to manage growth in high quality-of-life hub communities in Coos County like Berlin, Colebrook and Lancaster. Q. What will we be talking about in 20 years? A. A resource we take for granted – water. This region has 11 major river systems and water has increasingly become a commodity to the rest of the country and the world.